FORT LAUDERDALE, Fla., Jan. 20 -- Allstar Coaches will be accommodating a group date on the fourth episode of The Bachelor: On the Wings of Love. The episode will cover a special group date where the entire cast takes the adventure on the road with the newest Bachelor, Jake Pavelka. Left heartbroken on the last season of The Bachelorette, Jake is now ready to give love one more try. The Bachelor has selected Allstar Coaches to bring their hit series "The Bachelor: On the Wings of Love" out on the road for a week long RV adventure packed with gorgeous women and some of the country's most amazing and picturesque locations. With all eyes on their prize, these beautiful bachelorettes will stop at nothing to capture the heart of Bachelor Jake Pavelka. "The cast and crew on the show were fantastic," said Rob Tischler, Owner and CEO of Allstar Coaches. Both Tischler and co-owner Robert Lemon also doubled up as drivers for the trip. "It was a tough job," jokes Lemon, "but someone had to do it. The Bachelor is one of ABC's most successful shows and we're proud to be a part of it." ABC's "The Bachelor" has a reputation for enjoying the finer things in life. "We first contacted Allstar Coaches because they had the nicest RV rentals we could find," said Herbert Weatherford, one of the producers of the show. "After working closely with them in the planning stages and especially after a week out on the road we knew we made the best choice. Allstar's staff was great and fit in seamlessly with our crew. Their expertise in RV travel and operations were invaluable to this production, and quite frankly we could not have pulled this off without them," added Weatherford. 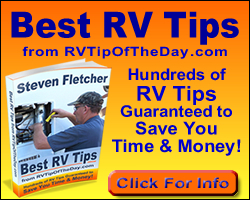 Allstar Coaches features America's best RV rental fleet. The fleet consists of late model Class A motorhomes ranging from 35 feet to 45 feet. Equipped with the latest options and custom designed utilizing the finest materials available, these state-of-the-art vehicles are truly luxury suites on wheels. "We were sworn to secrecy about where we traveled to and especially who went along for the ride, but I can say that we went to some of the wildest places imaginable," says Tischler. "And some of the things we could overhear from the back of the bus were enough to make these grown men blush," adds Lemon. Allstar Coaches offers RV rentals in Florida, California, New York, New Jersey, Pennsylvania and across the USA. For detailed RV rental pricing and information, call 866-838-4465 or visit Allstar Coaches online at www.allstarcoaches.com. The Bachelor's "road trip" episode airs January 25th at 8/7 Central on ABC.